FIND, GET OR GIVE MAKE A SPLASH LOCAL PARTNER SWIM LESSONS! 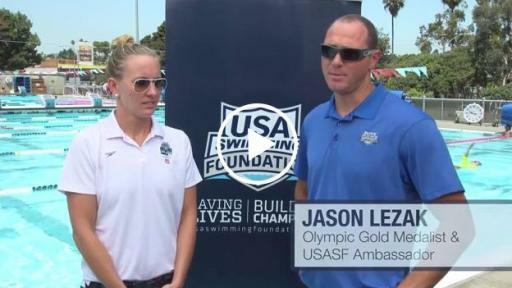 To spread a message of saving lives through swim lessons, the USA Swimming Foundation along with Olympic gold medalists Jessica Hardy and Jason Lezak hosted the Make a Splash Games at the Belmont Plaza Olympic Pool located in Long Beach. 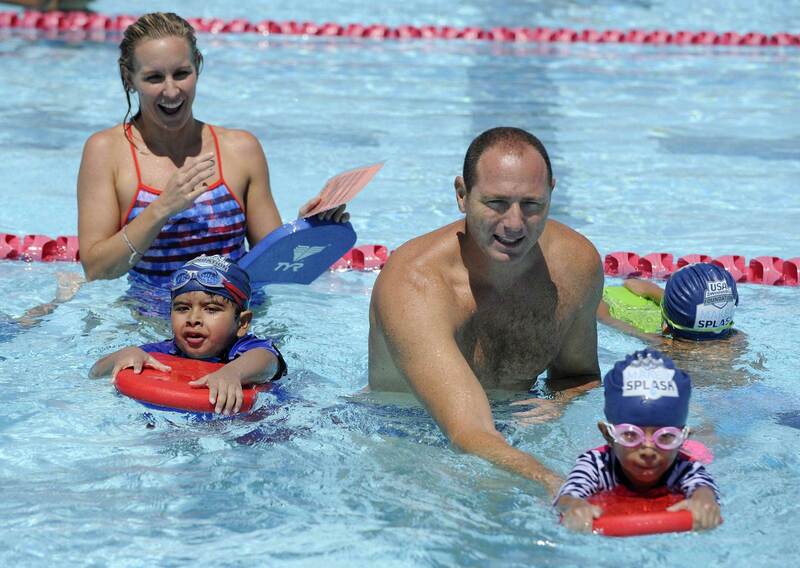 The Olympic-style competition for kids that range in age of three to six years old kicks off the start of the Summer Olympic Games in a fun way, while reminding everyone how important it is to learn water safety. 10 children participated in the friendly competition which featured fundamental elements of a swim lesson including back floating, kickboard exercises and diving for toys. The event concluded with a medal ceremony celebrating their accomplishments. 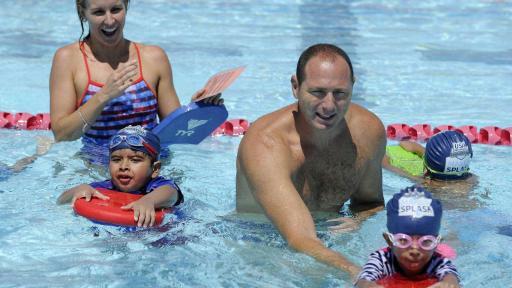 The event was created by USA Swimming Foundation and their Make a Splash program which encourages parents to sign their children up for swim lessons to prevent drownings amongst children. 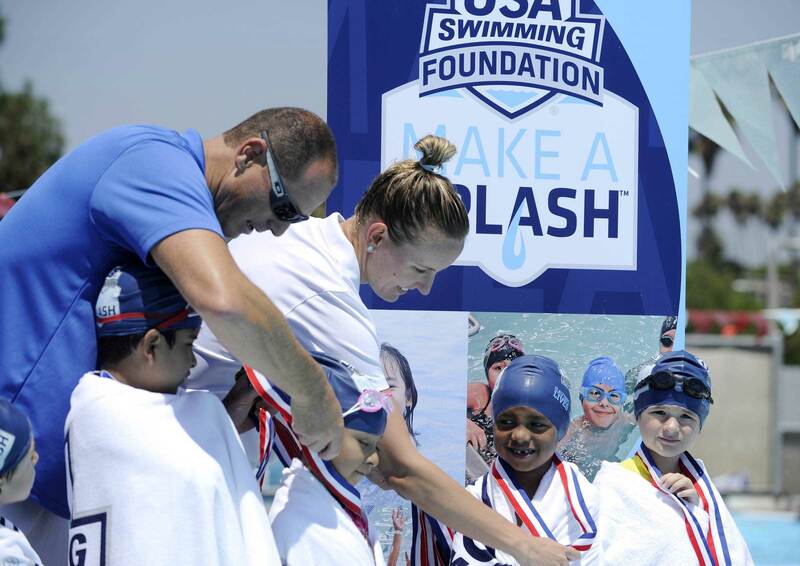 Since 2007, USA Swimming Foundation’s “Make a Splash” initiative has given more than 4 million children the lifesaving gift of free or low-cost swim lessons. The USA Swimming Foundation has a goal of providing swim lessons to 1 million children annually through its Local Partner network, by December 31, 2017. Through Make a Splash funding this year, more than 20,000 children will be served through grants provided to 52 Make a Splash Local Partners across 23 states. Over the last nine years, almost four million children have received formalized swim instruction through Make a Splash local partners. The USA Swimming Foundation raises funds to support programs that save lives and build champions–in the pool and in life. As the philanthropic arm of USA Swimming, the USA Swimming Foundation works to strengthen the sport from grassroots to gold medals. If your child cannot swim or you would like to help others learn this critical life-saving skill, visit www.usaswimmingfoundation.org to find a local partner offering affordable swim lessons. For additional information visit www.usaswimmingfoundation.org. 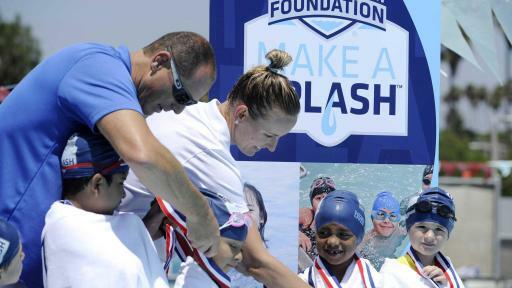 The USA Swimming Foundation’s Make a Splash initiative is a national child-focused water safety campaign, which aims to provide the opportunity for every child in America to learn to swim. 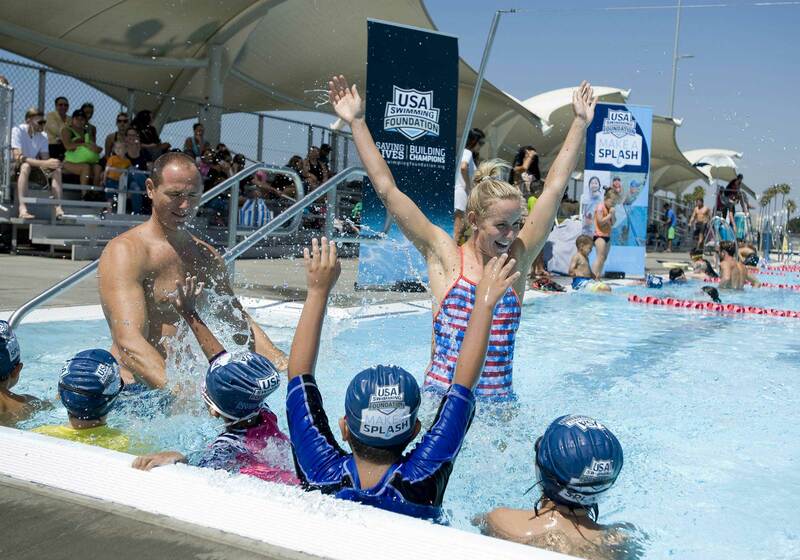 Through Make a Splash, the USA Swimming Foundation partners with learn-to-swim providers and water safety advocates across the country to provide swimming lessons and educate children and their families on the importance of learning how to swim. 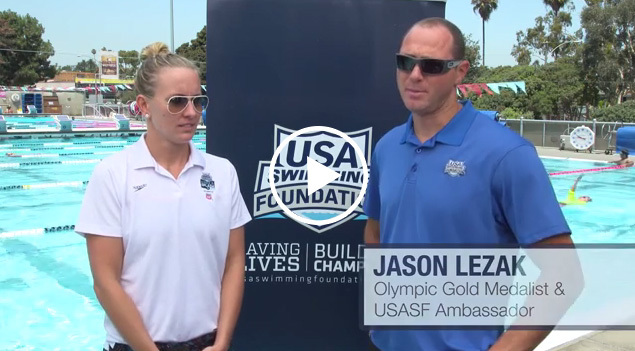 The USA Swimming Foundation has invested millions of dollars to provide grants to qualified Local Partner learn-to-swim programs, to spread national awareness, and to bring together strategic partners to end drowning. To date, four million children have received the lifesaving gift of swim lessons through the USA Swimming Foundation Make a Splash Local Partner network, comprised of more than 750 qualified lesson providers across the nation. To learn more, visit www.usaswimmingfoundation.org/makeasplash.